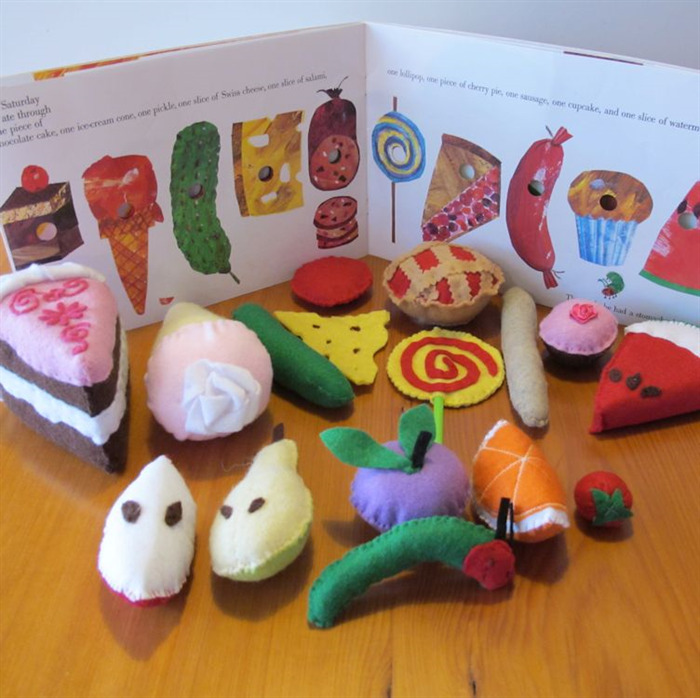 This felt play food set does NOT include the book but please message me if you would like more information about purchasing the book.. 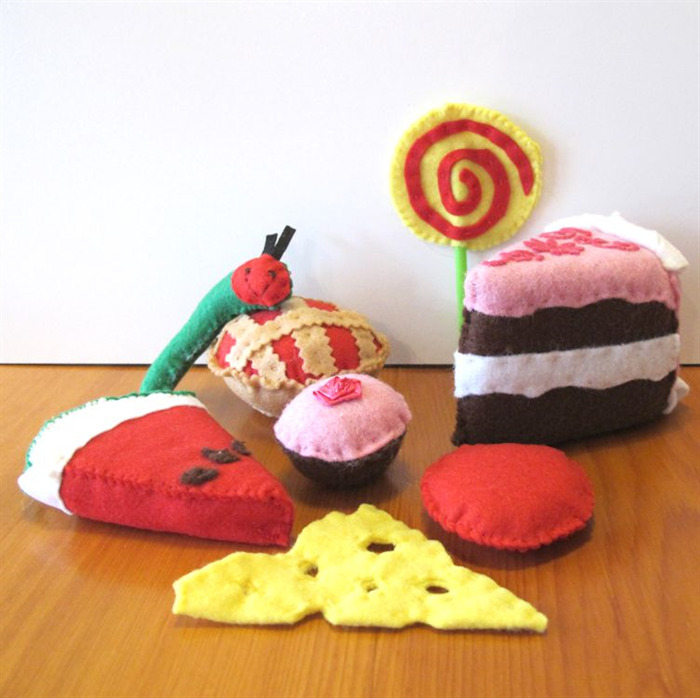 The felt food set comes to you in a calico drawstring bag so it is easy to keep all the food together. 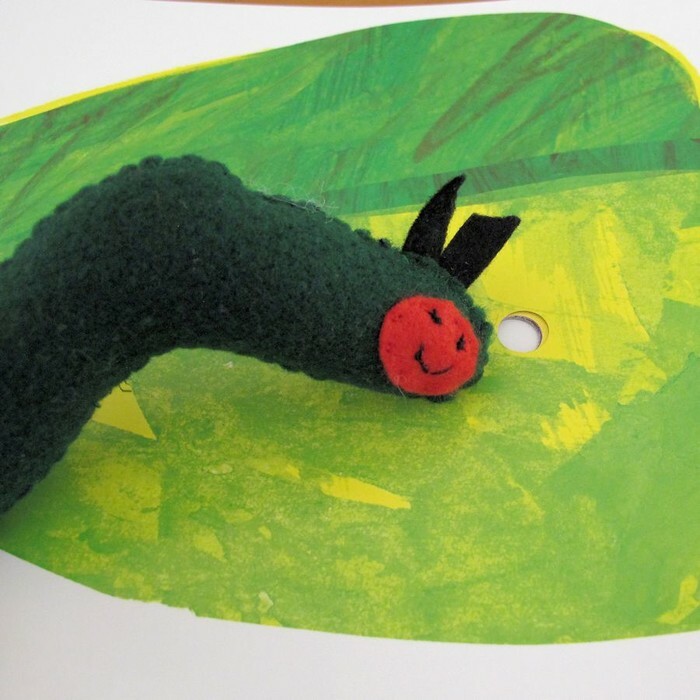 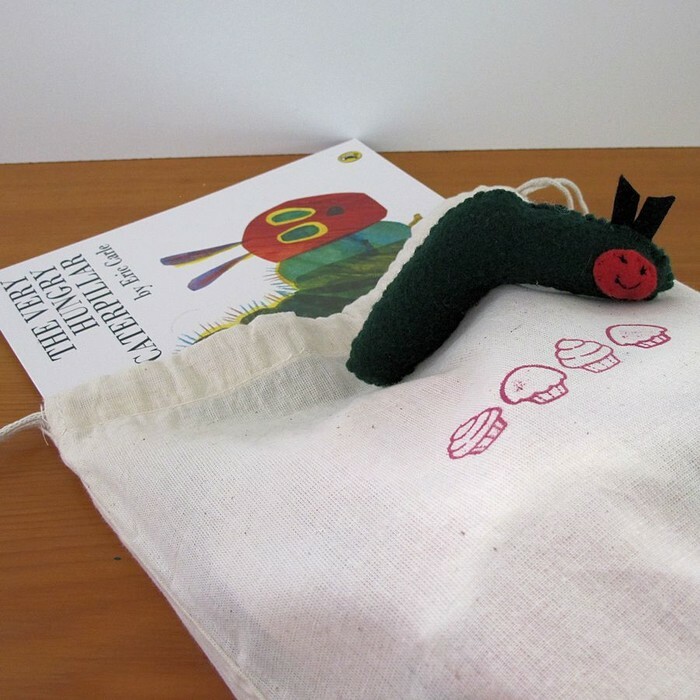 It is the perfect prop for storytelling, at home, preschools or play group settings. 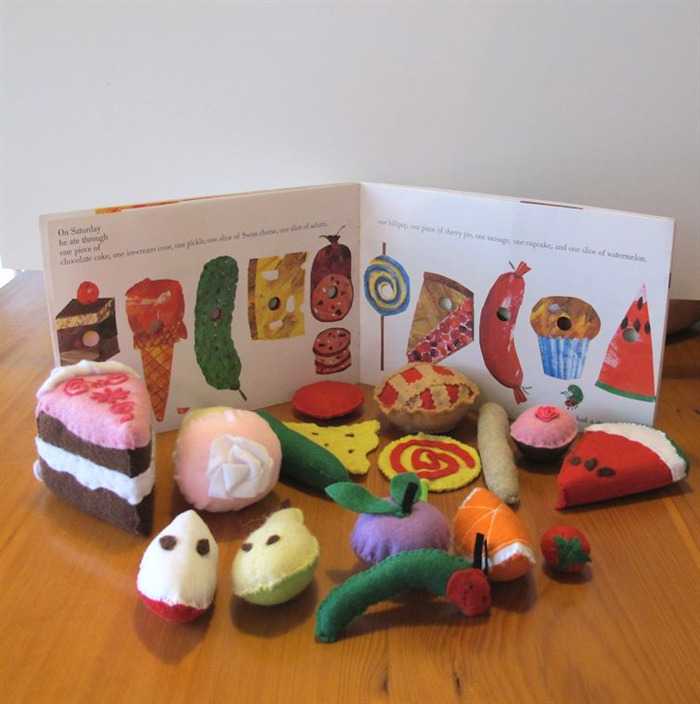 Included in this set are all the foods the caterpillar ate plus the caterpillar. 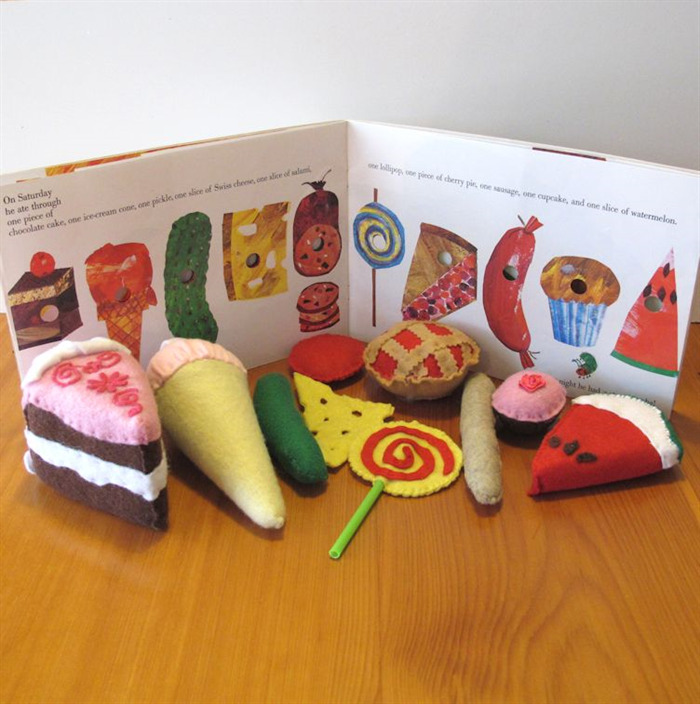 Please note that the book is NOT included.